There some great weekend's to visit Vegas besides the obvious Super Bowl and March Madness. We’re currently sandwiched in between the two largest sports weekends to visit Las Vegas. The Super Bowl has always been the game that’s been wagered on the most and watching it in Las Vegas is a tradition for many people. More recently, the opening four days of March Madness seems as though it has caught up to the Super Bowl in many ways. Hotels and viewing parties are packed or sold out. Wagering for the first four days of the NCAA tournament now rivals the Super Bowl. 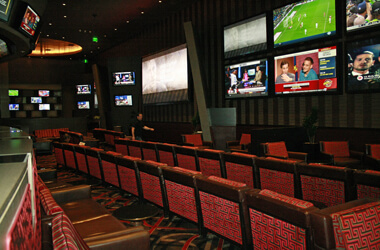 If you walk into a sportsbook today you’ll see a much more tepid atmosphere. There really isn’t much happening besides mid-season basketball and hockey. It’s great if you’re a fan of those sports but this isn’t when the masses come out to the book and create the rowdy atmosphere many of us love. Cinco De Mayo will be celebrated a little early this year. May 1-3 in Vegas will be busier than you might think. Besides the Cinco De Mayo parties, there is always a huge boxing match (rumored to be Mayweather vs. Pacquiao this year) and the Kentucky Derby. The Kentucky Derby keeps the sportsbook buzzing during the day and the fight keeps the Vegas Strip rocking at night. This is probably my favorite weekend in Vegas. Before moving to town this was a timeframe that I would mark on my calendar to try and make a trip. It’s a rare weekend where you’ll walk into a sportsbook and see golf on one or both of the main screens. That will be the case on Masters weekend - April 9-12. Wagering on golf is still relatively small but it’s been growing in the past couple of years for the major events. The Masters is probably the most popular of those majors. 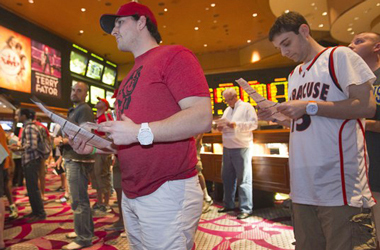 As sportsbooks evolve they continue to make more prop and matchup wagers available. This is also the first full weekend of the MLB season. Nobody is eliminated yet and everyone is stoked for their team. It’s also a good time to get a World Series futures wager in. No matter what day Halloween falls on, it’s one of the best nights in Vegas. This year it happens to fall on a Saturday. Like most holidays in Vegas, Halloween is enjoyed in excess. There’s even a masquerade and fetish ball to celebrate the night. Costumes and good times are easy to find. So is sports action. This is prime time for a sports fan. It’s the rare time of year that NFL, MLB, NBA and NHL are all in action. Lots of games to wager on and the freaks come out at night. Who’s not having fun?! The Super Bowl of NASCAR may not be on par with the Super Bowl of football but it’s still a fun time in the sportsbook. Besides NASCAR week in Vegas (March 8, this year) there aren’t many occasions that you’ll find the book filled with other race fans. After the big race you can wash up and grab an early dinner before heading to an Oscars viewing party at one of the casinos. You can’t wager on the Oscars in Las Vegas yet but if you have an offshore account you can get down before the event. June 6 may seem like a random weekend in the summer to visit Vegas and it is. If you’re just looking for Vegas summer vacation June 6 is a great weekend to aim for. This is a surprisingly excellent weekend for sports fans. The NBA Finals begin on June 4, MLB is in full swing, the NHL playoffs are in action, UEFA Cup Final is on June 6 and the Women’s World Cup begins on June 6. 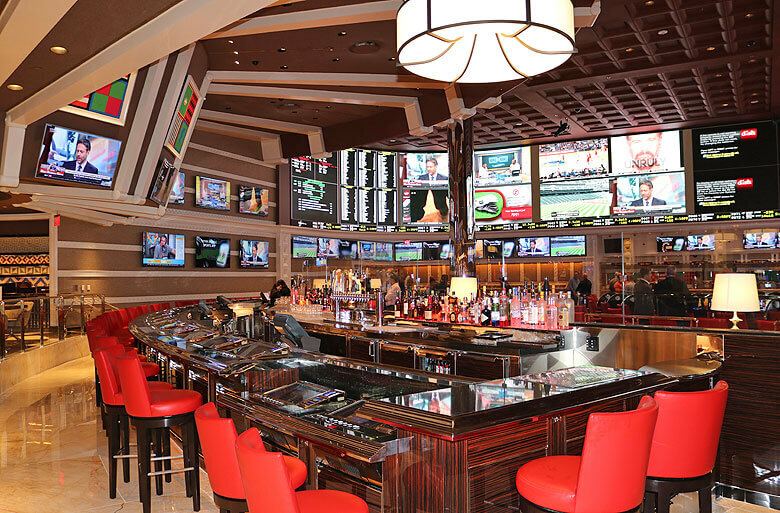 There are only so many weekends in the summer, so you may as well have some games to watch or wager while you're in Vegas.